While the housing market in many parts of the United States suffered, the realtors association in Fort Worth wanted to promote the booming local economy and real estate market. 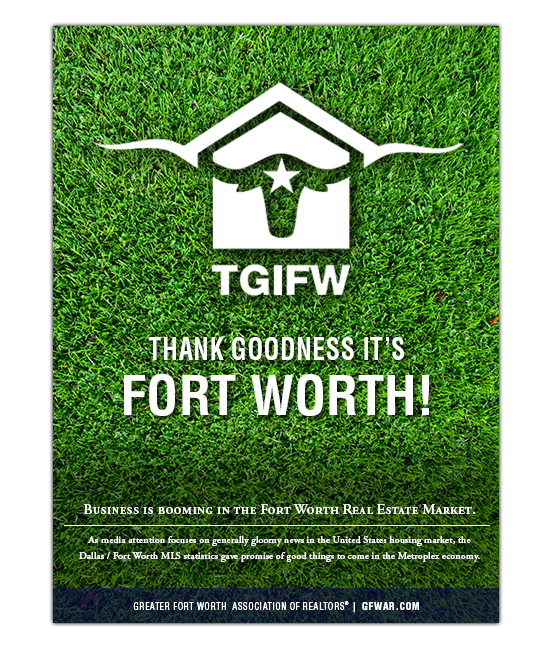 Paper Patina was asked to develop a logo to brand their advertising and PR campaign, which centered around the slogan, “Thank Goodness It’s Fort Worth.” Combining the longhorn and a house, the logo provides a unique symbol for the communities real estate market. The brand was used to promote the campaign in social media, advertising, and real estate sign toppers.